No one knows your child better than you do. As a parent, you know their cries, their giggles, and their moods. 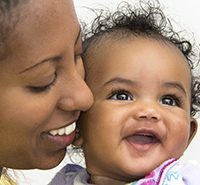 Your child also knows your voice, your smell, and your touch—even from birth! You are also a critical member of the early intervention team. Most intervention happens between visits because providers see your child for only a short visit. 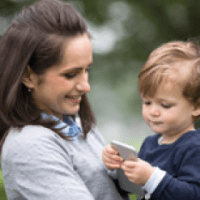 What can you do to help your child? 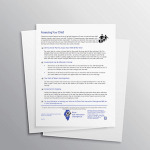 Share information about your child. Notice what your child likes. What are her favorite toys, games, and songs? Who are her favorite people? Dislikes? What concerns you do you have about your child. For example, do you worry that he isn’t crawling or that he is having trouble eating or sleeping? Let your provider know at any time. Provide opportunities to try new skills. Arrange many opportunities for your child to play and practice new skills during everyday routines—dressing, mealtimes, diaper changes. Create an environment where it is safe for your child to explore and learn about the world. Learn about activities in your community that your child and family might enjoy. Participate in developing a plan for EI services with the team. Talk about what you and your family feel is most important for your child. Agree on outcomes that are meaningful for your child and family. Identify your family’s supports and resources. Who can you count on for help? What do you have that you can use to help your child? Engage and enjoy yourself in each home visit. Actively take part in home visits and appointments. This will help you learn strategies and skills that will enhance your child’s development. Ask your EI providers to explain the activities. How are the activities helpful for your child? What additional activities can you and other family members work on with your child? Knowing these things will help you work with your child between visits. Ask questions about next steps, things to be watching for, and how to involve siblings or other children in activities.